"Rubik's Cube" is a free online logic game with a cube composed of 54 blocks, 9 blocks on each side in different color. Play Rubik's Cube online on computer. Rubix game. Fun logic learning game. Arrange all sides by same color to win. How to play Rubik's Cube. 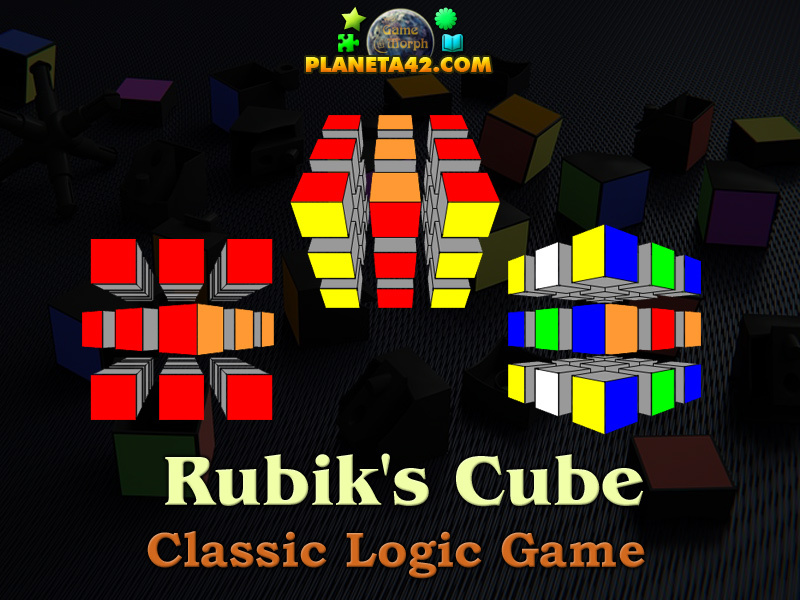 This is a classic Cube Rubic game made by IVATA. 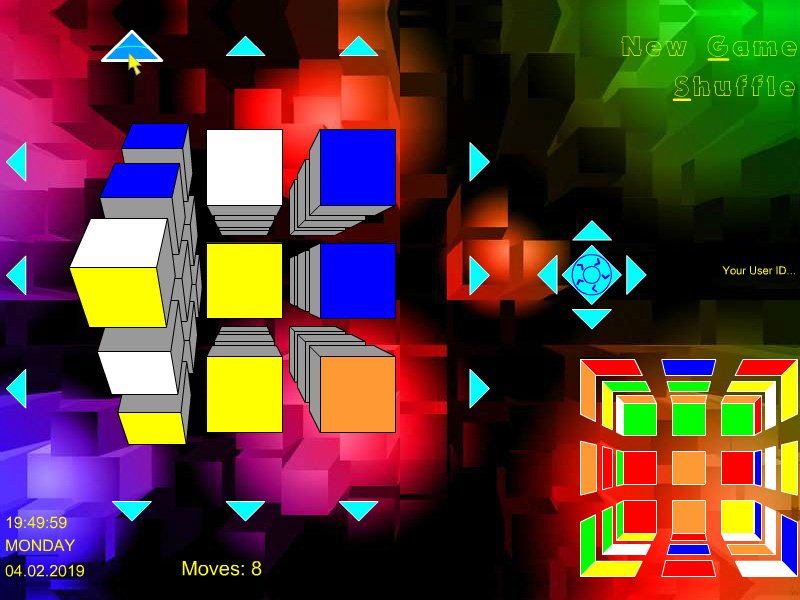 Use the "Shuffle" button at the top right of the game screen to shuffle the cube sides. Detailed rules are described in the Class subjects section. Know how to win a Rubik's Cube game. Rubik's Cube is a 3-D combination puzzle invented in 1974 by Hungarian sculptor and professor of architecture Erno Rubik. Originally called the Magic Cube, the puzzle was licensed by Rubik to be sold by Ideal Toy Corp. in 1980 via businessman Tibor Laczi and Seven Towns founder Tom Kremer, and won the German Game of the Year special award for Best Puzzle that year. As of January 2009, 350 million cubes had been sold worldwide making it the world's top-selling puzzle game. It is widely considered to be the world's best-selling toy. On the original classic Rubik's Cube, each of the six faces was covered by nine stickers, each of one of six solid colours: white, red, blue, orange, green, and yellow. The current version of the cube has been updated to coloured plastic panels instead, which prevents peeling and fading. In currently sold models, white is opposite yellow, blue is opposite green, and orange is opposite red, and the red, white and blue are arranged in that order in a clockwise arrangement. On early cubes, the position of the colours varied from cube to cube. An internal pivot mechanism enables each face to turn independently, thus mixing up the colours. For the puzzle to be solved, each face must be returned to have only one colour. Similar puzzles have now been produced with various numbers of sides, dimensions, and stickers, not all of them by Rubik. Labels: Rubix Games , Classic Games , Brain Games , Logic Games , Education Games , Free Online Games.